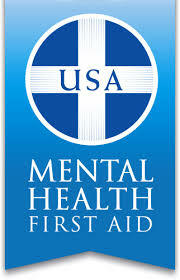 Once again this fall, the League of Minnesota Cities Insurance Trust (LMCIT) will be co-sponsoring Mental Health First Aid classes at various locations around the state. This year, our co-sponsors are the Association of Minnesota Counties, the League of Minnesota Cities, the Minnesota Association of Townships, and the Minnesota School Board Association. These courses have been very valuable with all levels of municipal employees who work with the public. The training is for city hall and courthouse staff, librarians, municipal liquor store staff, parks & rec staff, police officers, sheriffs’ deputies, firefighters, and EMS responders. 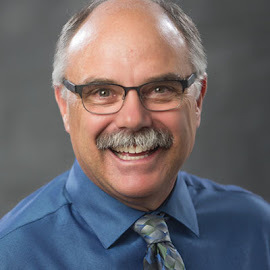 This training provides an understanding of mental health issues, guidance in how to provide help in an emergency, and resources you can provide to connect people with the help they need. Police officers and sheriffs’ deputies completing the course will receive 9 POST board credits that can be applied toward meeting the new requirements for the in-service learning objectives for crises intervention and mental illness crises training. Some of you may remember we featured an Eagan officer’s story on how this training helped him handle a 911 call. We featured it a blog last January. Here’s that 2-minute clip again. Get more information and register for these workshops here. 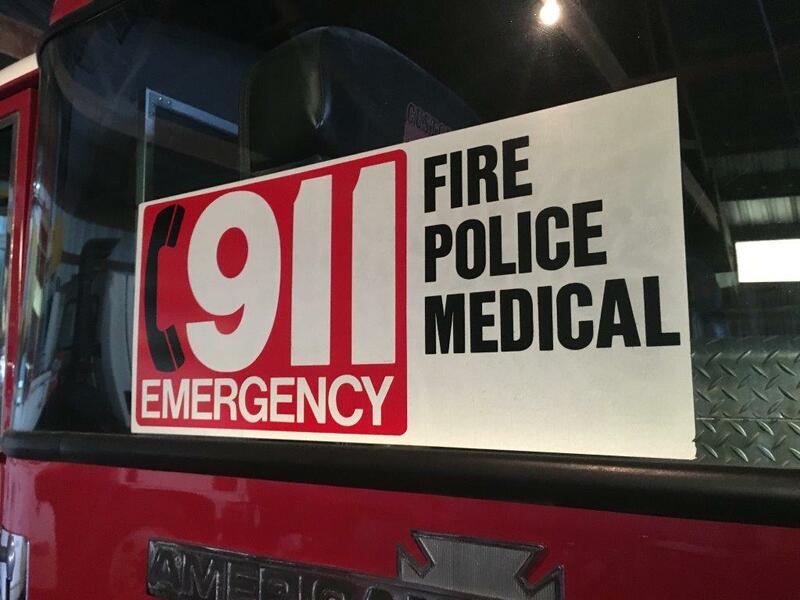 vehicles to promote the new 911 system. I remember the last emergency call I handled prior to our area of Minnesota installing the 911 system. It was a cool Saturday morning in October, and our county dispatch center received a call from a telephone company operator. The operator had received a dial-O call from a man who was disoriented and said he thought his father and brother were dead. The man only knew he was “home” and could not remember his name, address, or phone number. The operator and telephone company staff worked feverishly to try to trace the phone call and continued to work with the caller. The information came to us in pieces. First the telephone company thought he was in our city, and next came a street name. It was a lengthy street, so we moved into position and requested an ambulance be sent to our general area. Finally the man was able to provide house numbers—only, the numbers did not make sense. We began to transpose the numbers and came up with a possible address. Two of us cautiously approached the house, as we were not sure what was going on or even if we had the right house. We knocked at the door and rang the doorbell a few times. The door opened, and a young man in his underwear just stared at us. He would not answer us but agreed to step outside. Once outside, the man slowly began to respond to us, and when we asked where his father and brother were he pointed inside the house. More help was arriving, and two officers went into the house and carried out the father and brother about a minute later. One of the fire rescue responders said, “I bet the house is full of CO (carbon monoxide).” It was. The good news was that everyone survived—including the responders who went inside—but the medics and gas company officials said it was a close call, and every second of our response mattered in the outcome. The cause of the CO in the house was a clogged furnace vent. Within a month of the call our county had “Enhanced 911,” which not only directed a 911 call to the correct answering point but also provided the address and phone number of the residence where the phone was located. While the federal 911 program began in 1968 in Alabama, it did not reach our area until the early 1980’s. 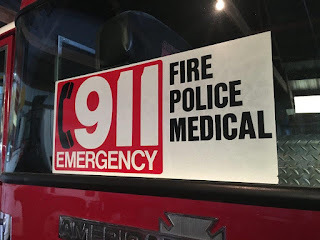 Soon we were placing the red-and-white reflective 911 decals on all of our emergency vehicles to promote the roll-out of the system. The 911 system is quite a success story of public-private cooperation, governance, and funding. The system has been challenged by the onset of technology, particularly cell phone and mobile devices. And the system continues to respond, change, and adapt to societal changes, continuing to deliver critical reliable information 24 hours a day. So here is a shout-out to all the people who had the foresight, drive, and political skills to create and maintain this critical entry point to accessing public safety responders. And to our dispatchers, call takers, and communications staff who continue to make it all happen.